It is believed that goats together with sheep are one of the oldest domesticated animals. Archaeologists have found the goat remains at many of the archaeological sites in western Asia including Cayonu, Choga, Djeitun and Mami. These goat remains suggest that the domestication of goat started somewhere between 6000 and 7000 B.C. Although, we don’t have clear evidences of the origin of sheep, goats’ pedigree is rather clear. 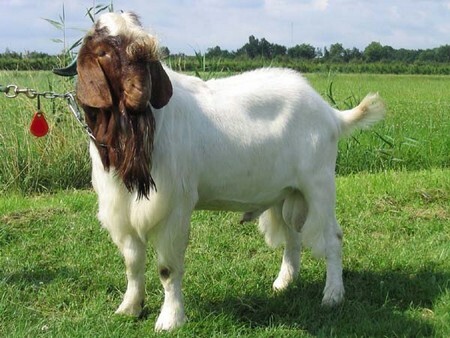 The Bezoar goat is considered as the major donor of the modern goats. The Bezoar goat is known to be originated from the mountains of Asia Minor across the Middle East to Sind. 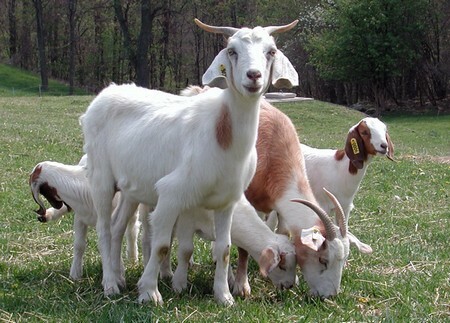 Goats are classified into six primary species including Nubian, Alpine, Saanen, Toggenburg, LaManchla and Oberhasli. There are certain other breeds which include Pygmy, Boer, Cashmere and Angora. Except Pygmy, all the other breeds of goats bear horns which are often dehorned by the breeders at an early age to prevent injuries to both humans and goats. One of the popular breed of goat which is characterized by its large, wide and long size, loosely hanging ears, and a roman nose. Nubian are mostly brown in color, however, you can find them in any color. Nubian is believed to be originated in the United Kingdom from British and Near-East offspring. The milk of Nubians is rich in butterfat content and is widely used in the making of cheese. Alpines have their origin in Switzerland. From there, they were imported to France, England and United States. The most prominent color patterns of alpines are black and white, or brown and white. However, these are available in other color patterns as well. They are characterized by their upright ears and dished or curved noses. Saanen is a breed of goat got is name from the place from where this breed originated, i.e. Saanen Valley in Switzerland. These are found in white or cream colors. It is known to be the largest dairy goat breed. The average weight of a Saanen goat is about 150lb (68kg), where bucks have a weight around 200lb (91kg). This breed is also known for producing more milk on average than any other breed. For instance, a Saanen nanny provides an average of 1 gallon per day. Its milk contains low butterfat content, i.e. 2.5%-3.0%. 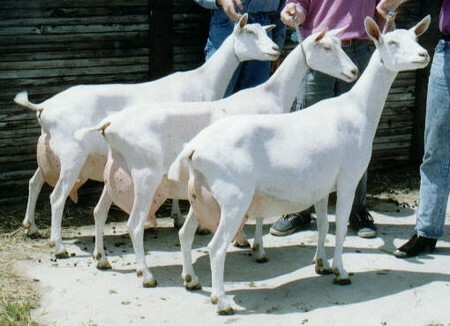 Saanen goats are used for commercial milking. They are easy going, calm and good natured. Children can handle this breed quite easily. On average, they reproduce one or two offspring per year. Toggenburg goats got their name from the valley from where they originated, i.e. Toggenburg Valley in Switzerland. Toggenburg goats have the reputation of being the oldest dairy goat species. This breed is a bit smaller than Alpines with a weight around 120lb (55kg). It is a medium-sized, active, and strong breed of goats. Toggenburgs have short medium-sized hairs which are soft, fine and lying flat. Toggenburgs are found in colors ranging from light fawn to dark chocolate without having much of the shades. However, there are some clear white markings prominent on their ears with a dark spot in center, two white stripes down the face from above each eye to the muzzle; hind legs white from hocks to hooves; forelegs white from knees downward with a dark lien (band) below knee acceptable; a white triangle on either side of the tail; white spot may be present at root of wattles or in that area if no wattles are present. L Mancha goat is another dairy goat breed. It has the tendency to adapt to several different environmental and climatic conditions. La Mancha was first imported to Mexico by Spaniards and later to the United States. As they are diary goat, they produce a lot of milk which is high in butterfat contents along with other essential nutrition. La Mancha goats are of two types, i.e. the breeds in first types have elf ears and the breeds in second types have gopher ears. La Mancha goats are known for their good temperament which makes them a very good pet goat. This breed also originated in Switzerland and is found in different shades of Chamoisee color. It is found from light to dark deep red bay having black streaks on the face, muzzle and forehead. Some varieties of Oberhasli are black as well. Formerly, this breed is known by the name Cameroon Dwarf Goat. It is widely found in the West African regions. However, some varieties of pygmy goats are also found in the Northern Africa, some regions of southwestern Africa and east Africa. This breed was introduced in the ancient French Cameroon area. These goats were imported by Germany and Sweden where they were kept in the zoos as foreign animals. The pygmy goats were brought to United States somewhere in 1959 from Sweden. Pygmy goats are not considered good for the production of milk. Originated in South Africa, is known for its meat production. They are preferred for their meat on all other breeds of goat. Cashmere is a breed that was brought to United States in 1980 from Australia and New Zealand. Since the introduction of cashmere in United States cashmere production has increased by manifolds. Many breeds and growers breed this variety to expand the industry of cashmere production in the country. Cashmere is sheared once in a year and a mature buck can produce about 2.5lb of wool. The cashmere wool is composed of two types of fiber, i.e. guard hair and cashmere. Angora is a breed of goat that is known for the production of its mohair (Angora goat hair). In United States, an angora goat can yield about 5.3lb of mohair in a single shear. Angora goat is sheared twice per year. The mohair of angora resemblance to wool in its chemical composition; however, the difference lies in the fact that wool are much smoother and thinner. Mohair is a coarse type of wool. Mohair is always preferred where durability, strength and good looks are required.